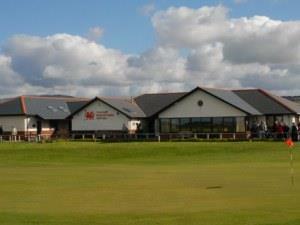 Borth & Ynyslas Golf Club Golf - 18 holeEstablished in 1885, Borth & Ynyslas has a strong claim as the oldest course in Wales. A founder member of the Welsh Golfing Union this traditional links course continues to provide a championship venue. Nestling on the estuary of the Dovey River and the beautiful sweep of Cardigan Bay the stunning scenery may well distract you from the golf...... but not for too long. Though not long by today's standards, this 'Grand Old Lady' of Welsh golf provides a stern but fair challenge that can be enjoyed by all standards of golfer. Famous golf architect Harry Colt made his mark with some subtle design changes to the course around 1945, where rolling humps and hollows, and strategically placed bunkers (not to mention the inevitable Borth Breeze!) ensure that each shot needs to be struck accurately in order to challenge par. The level terrain and easy walking will entice you to play again (perhaps in the afternoon) in order to regain some of those lost shots. Golf as it should be played the out and back design takes you close to (some may say too close to) Cardigan Bay, the 2nd especially is renowned, a straightaway 455 yard par 4 sandwiched between the road and the Irish Sea, what price for a par here! With the turn nestling amongst the dunes at Ynyslas, part of the Dovey Valley Nature reserve, the views north and east to the Snowdonia national park could cause you to take your mind off the game, this or maybe the Skylarks and Curlews calling or even a Red Kite circling above. Established in 1885, Borth & Ynyslas has a strong claim as the oldest course in Wales. A founder member of the Welsh Golfing Union this traditional links course continues to provide a championship venue. Nestling on the estuary of the Dovey River and the beautiful sweep of Cardigan Bay the stunning scenery may well distract you from the golf...... but not for too long. Sympathetic maintenance of the course is carried out to ensure that we endeavour to preserve this special environment.